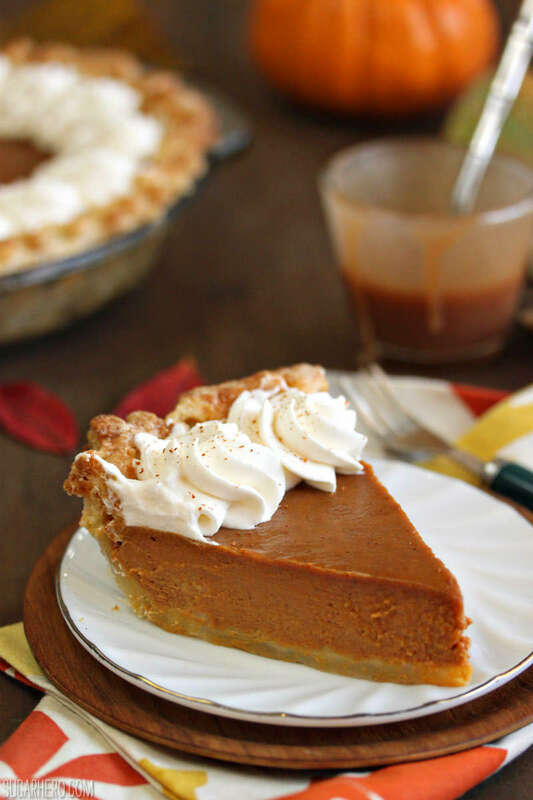 This Dulce de Leche Pumpkin Pie is a sweet twist on a Thanksgiving favorite! 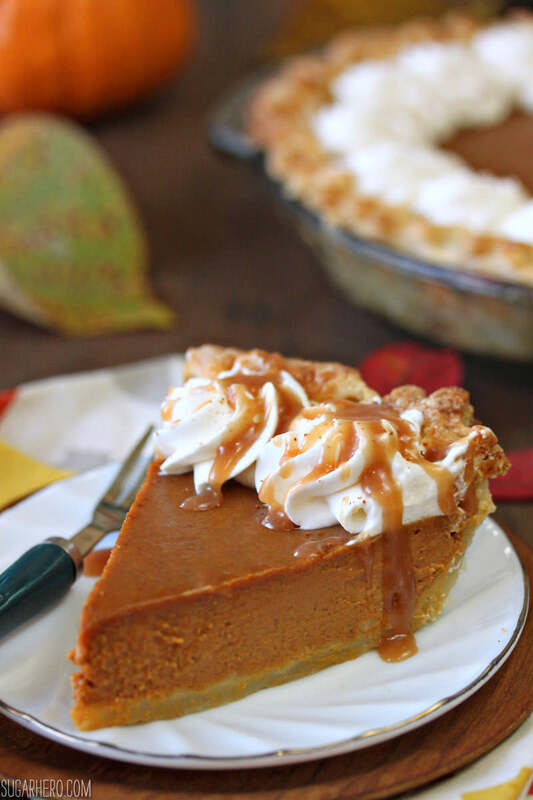 Dulce de leche adds a deep, caramel flavor to the pumpkin pie and gives it a silky-smooth texture. Behold, the baker who doesn’t like pumpkin pie is posting a pumpkin pie recipe. Hypocrisy, thy name is Elizabeth. I took one for the team with this post. And by “the team,” I mean my husband, who loves pumpkin pie but rarely gets to enjoy a freshly-baked version. And by “took one,” I mean “baked one,” and by “this post,” I mean…“this post.” Not everything has to be a deep metaphor, alright? So yes, I have pumpkin pie issues, mostly related to its texture. I also don’t love mashed potatoes, so you can put me firmly in the “no gloopy foods” camp. 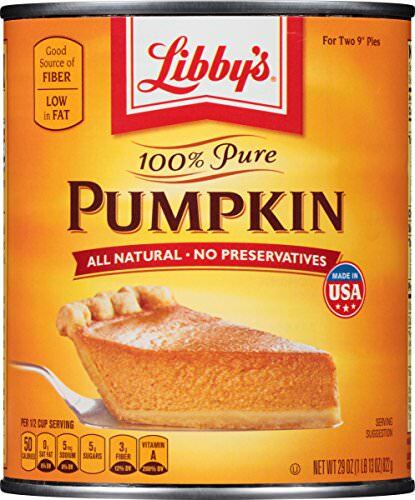 But I know I’m in the tiny minority with this opinion, and I live with a devout pumpkin pie lover, so I decided it was time to get over myself and write about this Thanksgiving classic. This is an almost classic version of pumpkin pie. My big change—heck, almost my only change—was to swap out dulce de leche for the sweetened condensed milk in the pumpkin custard. It’s not rocket science, but it is mighty tasty. 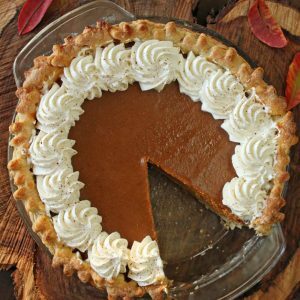 The dulce de leche flavor is subtle, but it gives the pie a nice undertone of caramelized sugar and depth of flavor that’s missing from more traditional pumpkin pies. Even with the dulce de leche addition, I didn’t find the pie too sweet, and in fact, thought that it needed a bit of sweetened whipped cream to round it out. Yes…“needed.” That’s my story and I’m sticking with it. So if you’re looking to tweak your usual pumpkin pie routine this Thanksgiving, pick up a can of dulce de leche instead of condensed milk! And this isn’t mandatory, but if you wanted to buy an extra can, thin it out a bit, and drizzle it on top of your pie to give it a glorious dulce de leche bath…well, that would be a good idea too. 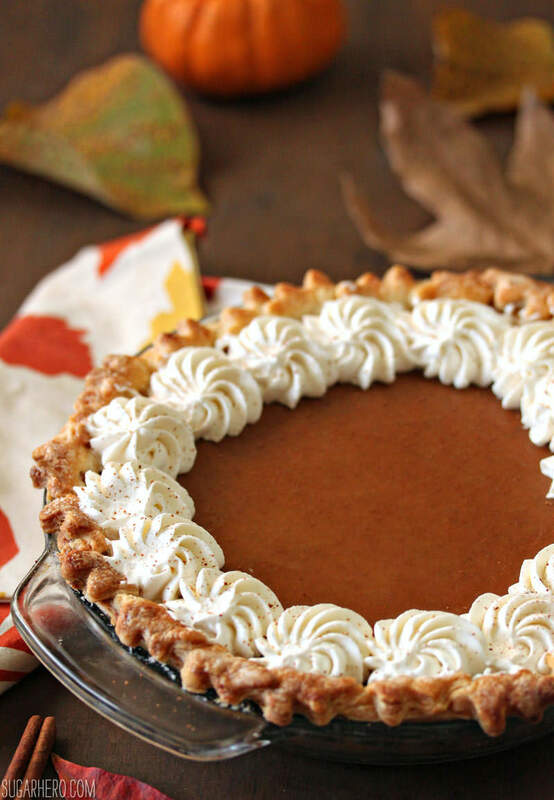 This Dulce de Leche Pumpkin Pie is a twist on a classic! Dulce de leche is used in the pumpkin pie filling, resulting in a lush filling with caramelized sugar undertones. Combine the flour, sugar, and salt in the bowl of a large food processor and pulse a few times to combine. Add the cold cubed butter and shortening, and pulse in short bursts until they're cut into the dry ingredients and the mixture has the texture of coarse crumbs. Add half of the cold water and pulse in 5-second bursts, adding the rest a little more at a time just until the dough starts to come together. You may not need to use all of the water—stop when the dough starts to come together, and don’t overwork it! Turn the dough out onto a lightly floured board and knead it just enough to incorporate any dry patches of flour. Wrap the dough well in plastic wrap, and refrigerate it for an hour to chill. The dough can be made several days in advance and kept in the refrigerator until ready to use. Flour your work surface and rolling pin. 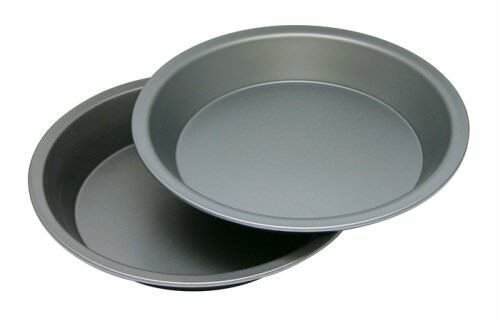 Roll the dough out into a circle, and press it into a 9-inch pie pan. Crimp the edges of the pie, and place in the freezer while you preheat the oven to 400 F.
Once at 400 F, spray a piece of foil with nonstick cooking spray and press it on top of the pie. Fill it with pie weights, rice, or beans, and bake for 20-25 minutes, until the dough no longer looks raw and is starting to cook along the edges. Remove the foil and weights, and if the crust puffs up on the bottom, gently press it down again. Cool the par-baked crust to room temperature before using it. Preheat the oven to 350 F. Whisk together the pumpkin and dulce de leche until smooth and free of lumps. Add the remaining ingredients and whisk until smooth. Pour into the par-baked crust and smooth into an even layer. Bake the pie at 350 F for 50 minutes, or until it barely jiggles when you tap it. If the edges of the crust seem to be getting too dark, cover the edges with a ring of aluminum foil. The pie can be served warm or cool, and can be kept for several days in the refrigerator. To speed things up, you can use a pre-made pie shell, or purchased pie dough, instead of making your own. 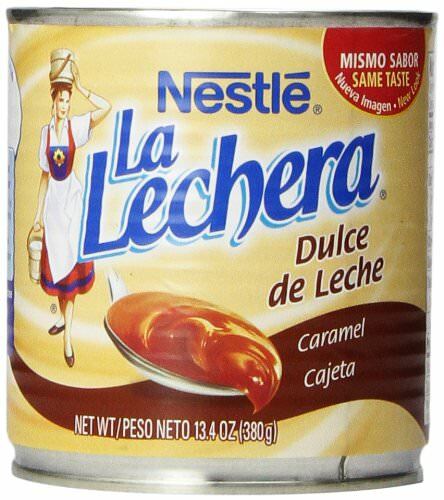 If you cannot find dulce de leche, see the Note at the bottom about making your own from condensed milk. Note: If you cannot find prepared dulce de leche, you can make your own on the stovetop, using a can of sweetened condensed milk. Place the can of condensed milk in a deep saucepan, and fill the pan with water so that the can is completely submerged. Bring the water to a simmer and allow it to simmer for 4 hours. Several times an hour, check the saucepan to make sure that the water is still covering the top of the can, and add water as necessary. After 4 hours, remove the can and let it cool completely before using it. 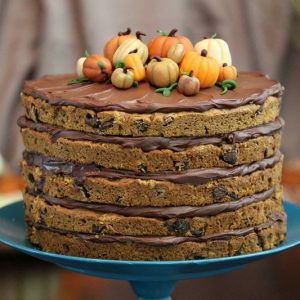 You can also just use condensed milk in this recipe, to make a "normal" pumpkin pie instead of a dulce de leche version. Thanks June! 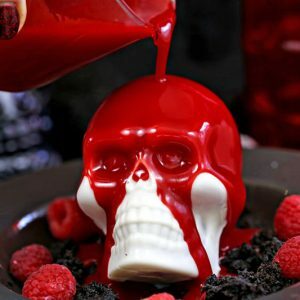 No sacrifice is too great for desserts, right?! I’ve seen it both ways, but in the past I’ve mostly used evaporated, so this was new to me. Your version looked amazing, lady! What a great tip! 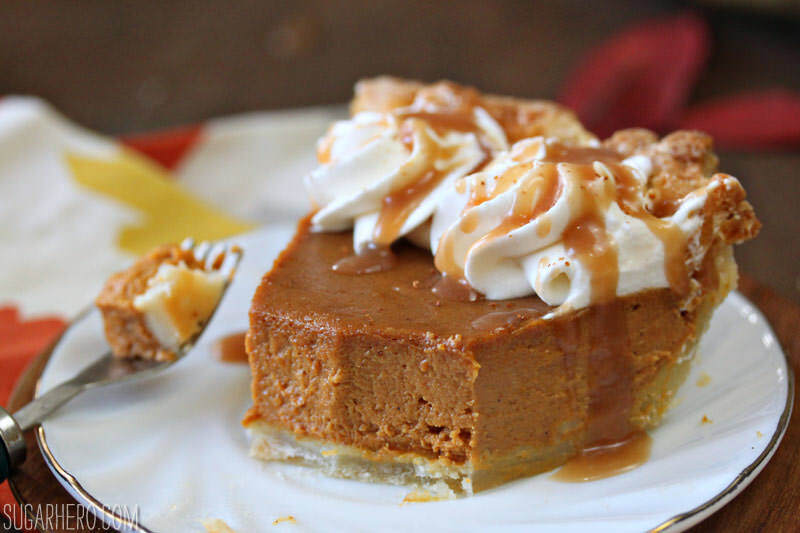 I have two cans of dulce de leche that need to be used, so next time I need to make punpkin pie, I will replace the sweetened condensed with the dulce de leche! Thanks!! Happy Thanksgiving! Awesome, Renee! Let me know how you like it! What a marvelous idea! At our house I’m the only one who likes pumpkin pie, so I’ve stopped making it. If I try your version maybe I can convert them too! Happy Thanksgiving! Thanks Deb! Good luck converting the masses! Oooh loving this caramel version! Looks like it has lovely texture. 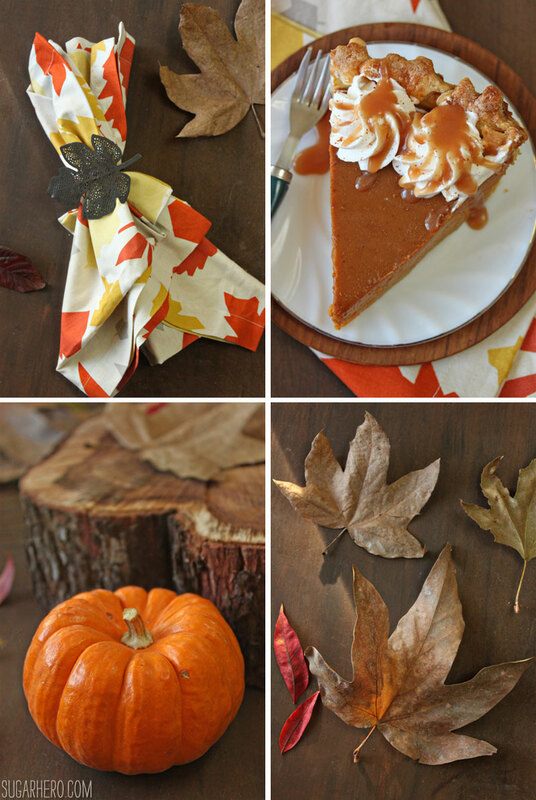 I’ve never had an authentic piece of pumpkin pie before – I wonder if I would like it! Gah! I don’t love gloopy foods either, but that does not include Pumpkin Pie or Mashed Potatoes. 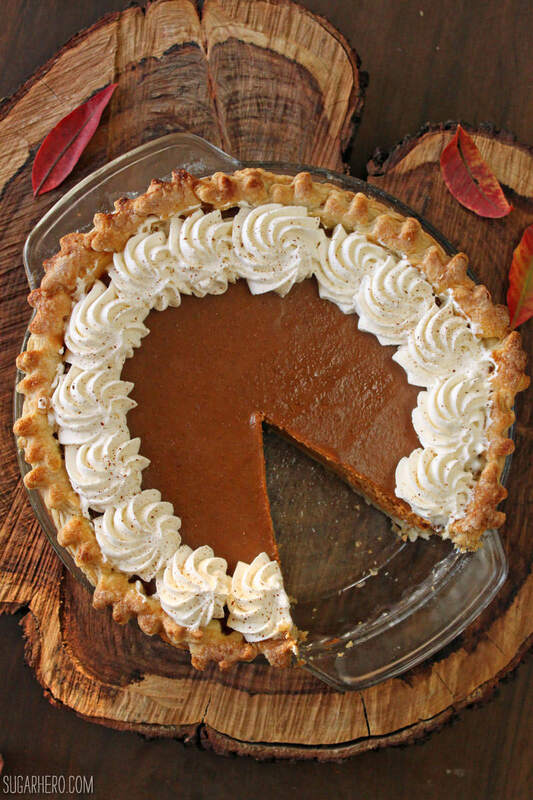 🙂 I will tell you Pumpkin Pie is one of my favorite things in the world and adding Dulce de Leche is absolutely brilliant! Pinned! Thanks Kristi! I know I’m in the minority in my pie aversion, but dulce de leche makes everything better! Haha, I hear you on the storebought marshmallows. Those are WEIRD. This is genius! I never would have thought to swap the condensed milk for dulce de leche but it makes perfect sense. Awesome upgrade! Oh this is heaven on a plate!! And BTW The extra dulce de leche on IS mandatory! I saw your recipe for this at a very opportune time (pre-T-day) and was thiiiiiiis close to making it, but then I asked my older nephew what he wanted to help me bake and he said he wanted pecan pie. I gently steered him toward Smitten’s cranberry-pecan version because I don’t like plain old pecan (I’m more selfish than you) and it was great (the kid loved it too), but! The moral of the story is: I am with you, not the biggest pumpkin pie fan, but I still wanted to make it because duh, it’s an Elizabeth Recipe. Next year, no democracy. Oh man, food democracies are the worst. Why do we even let anyone else get a vote?! Are you supposed to whip the cream before folding it in, to give it a thicker consistency? The recipe I used said to just pour the cream in and stir to combine…. I also use fresh pureed pumpkin – so maybe that’s the problem? Do you have any hints or tips? I’d love to try an authentic pumpkin pie! The cream (or milk) is typically just stirred in, not whipped beforehand. But I DO think that the homemade puree was probably the problem. Homemade puree can be more watery than the stuff you buy in cans, so it should be strained or cooked down before using, otherwise the desserts do tend to turn out too watery. Canned pumpkin puree has a thick, substantial texture. So if you do try it again, I’d try straining off the extra liquid in the puree before cooking with it and it should make a much better pie! I cook the filling (bring it to a boil before adding the milk and eggs) and then put it into the pie crust while it’s still hot. This helps give a better texture and keeps the crust from begin soggy. I also add 1/4 tsp of cloves and 1/2 tsp of nutmeg to the spices (also use 1/2 tsp ginger); makes it more interesting as well. I strongly feel that people tend to under-use spices, and that makes them boring. I’ve always used evaporated milk, but love dulce de leche, so will try that–I’m always open to improvement! This is the pumpkin pie I have been searching for my whole life! The texture is so dense and creamy smooth. The dulce de leche really compliments the pumpkin flavor. 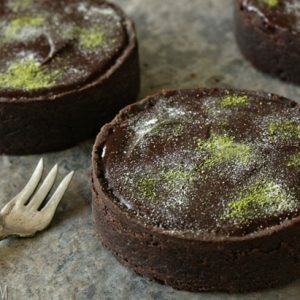 I added more spice than the recipe called for and used a gingersnap crust, but regardless of the crust, the filling is absolutely out of this world! So glad you enjoyed it! A gingersnap crust sounds delicious! I think I accidentally sent my previous comment with only a 2 star rating. I meant it to be a 5 star rating! Please correct it for me if you can. Thanks! Delicious! I made this filling for thanksgiving yesterday!